Edmonton, Alberta – The EPS Major Collision Investigations Section continues to investigate a traffic fatality that occurred on Yellowhead Trail eastbound early this morning. Northwest Division patrol members initially responded to a 911 collision call at approximately 2:40 a.m. today, Thursday, Jan. 17, 2019. It was reported to police that a 69-year-old male was operating a 2008 Ford Escape and travelling eastbound on Yellowhead Trail in the inner and middle lanes near 149 Street. At the same time, a 29-year-old male was operating a 2014 Freightliner semi-tractor-trailer unit and was transporting a full load, while travelling eastbound in the outside lane (next to the shoulder). The Ford Escape is alleged to have then suddenly changed lanes, moving directly in front of tractor-trailer unit and in to the outside lane, when it was struck by the semi, sending it off the road near 142 Street on the Yellowhead. Initially, the 69-year-old driver of the Ford Escape appeared to have only sustained minor injuries while on scene. The male was then taken to hospital, where his condition deteriorated. He eventually succumbed to his injuries later this morning. 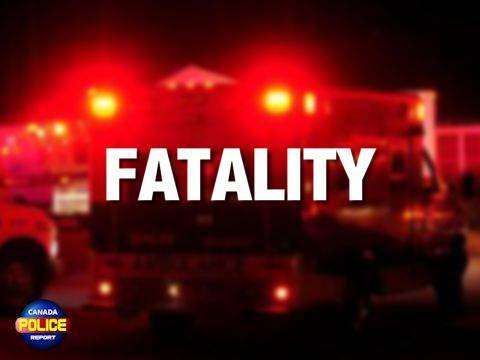 It is unknown at this time whether the 69-year-old male died from injuries incurred as a result of the collision, or whether he had a pre-existing medical condition. The semi-truck driver and his passenger did not suffer any injuries. Damages to the semi are estimated at $5,000. Damages to the Escape are estimated at $10,000. Speed and alcohol were not factors in the collision. Anyone with information about this fatal collision is asked to contact the EPS at 780-423-4567 or #377 from a mobile phone. Anonymous information can also be submitted to Crime Stoppers at 1-800-222-8477 or online at www.p3tips.com/250.